Tegna’s 9News in Denver debuted a 360 degree studio on Wednesday, marking the first upgrade for KUSA-TV since 2004. Designed by Joe Lamberta of Jack Morton PDG and built by blackwalnut, the space mixes views of Colorado with stonework and dark woods to create a sleek look on air. 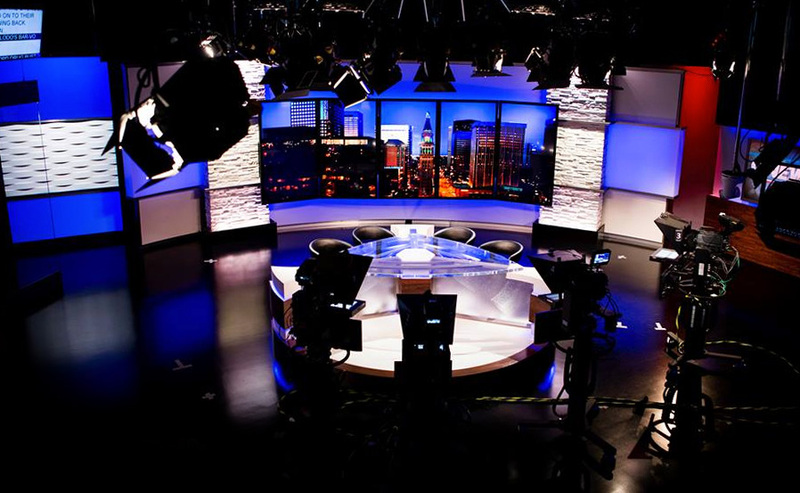 The sets home base, which is similar to KING-TV in Seattle, utilizes a 5×1 vertical monitor array with a plexi and wood fronted desk. The desk can seat talent on all sides, allowing a variety of shots and backgrounds, often with cameras in the frame. The design includes two main color schemes, blue for evening and yellow for mornings, with backlit sections and lighting cues that reflect the changes. For the first time at KUSA-TV, the weather and traffic center is now part of the set, located to the left of the anchor desk. The station notes, however, its outdoor weather space and auxiliary weather center are not going away. Behind glass panels, the weather center has a high tech look, with a small standing desk to its left. To the right of the anchor desk is a flexible space that can be used for stand ups. 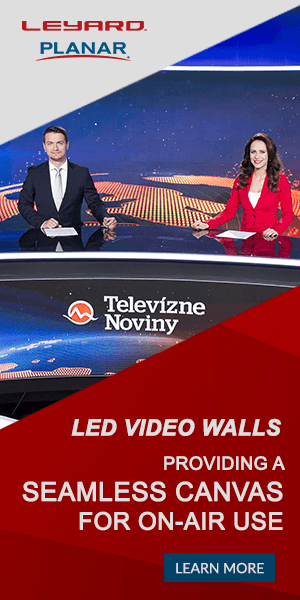 The space, which includes multiple monitors, uses up and down LED light strips to create a gradient effect on the walls. An interview area includes 3 more monitors across from the anchor area.